Car companies are always trying to innovate; meet ten concept cars that went too far. Although it looks a bit too sci-fi for the desert, The P-Eco vehicle definitely looks at home since the lack of a roof may prove annoying in other climates. 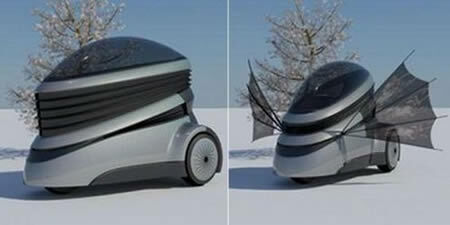 Designed by Jung-Hoon Kim, the P-Eco vehicle is an electric car actually made to make life easier in the city. Equipped with our piezoelectric devices on the front and rear of the driver's seat, according to Naresh Chauhan, it begins charging as soon as the ignition is turned on. 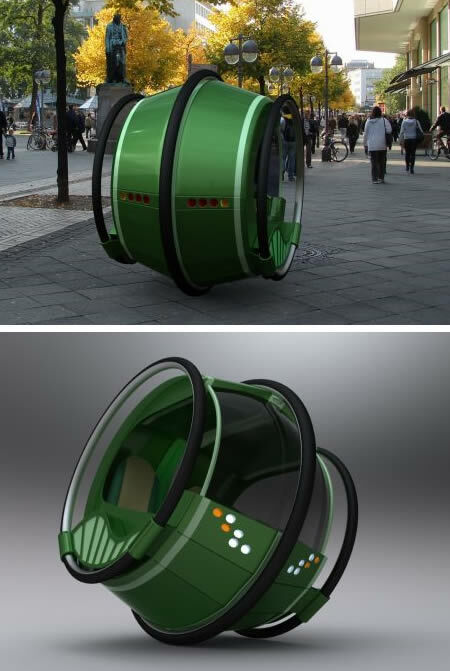 The eRinGo electric concept car is a ring-shaped vehicle that has a large wheel running around its center, while two medium sized wheels are present on each side. When the car is in motion, these wheels help it across turns, and when the car is still these wheels extend to provide balance and support. A rotor/ gyro system in the car helps it maintain balance on the single wheel. 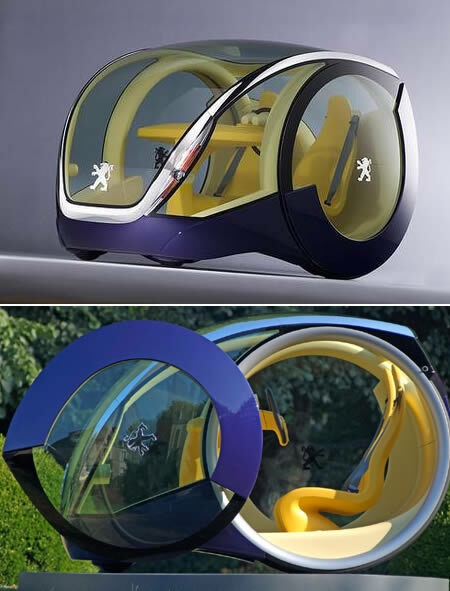 The two seater concept has steering wheels for both passengers, allowing either to take control. You thought the three-bar razor blade grille Ford's using lately was Gillette-inspired, check out Egochine, a single-person, tripod finalist in the Peugeot design contest. 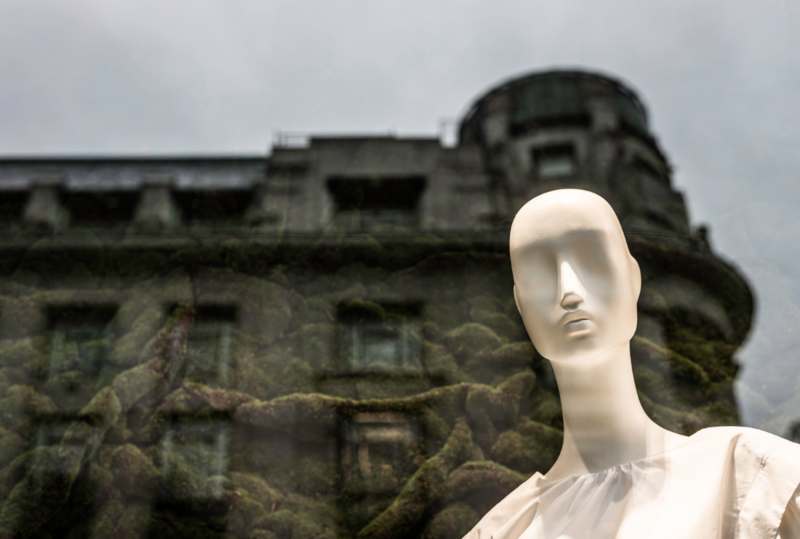 Creator Paolo De Giusti says it's "a vehicle built to carry a person very self-centered." The car's conceived with a hydrogen fuel cell in the fuselage mounted ahead of the rear-seated driver and powering a pair of electric motors turning to the front. It takes inspiration from the fabulously-bodied Isotta-Faschini's and other coach-built classics. It also seems to take inspiration from the Gillette Fusion Power razor. The Portuguese designer André Costa took another novel approach to ease city parking and manoeuvring. 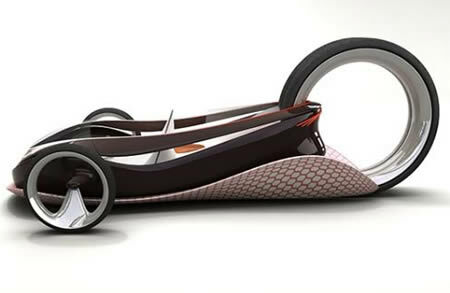 His design Moovie, made for the 2005 Concours de Design Peugeot, features two huge hub-less side-wheels which are used for both driving and steering. Each wheel is independently driven by an electric motor, allowing the Moovie to rotate on its own axis and squeeze into the tightest parking spots. 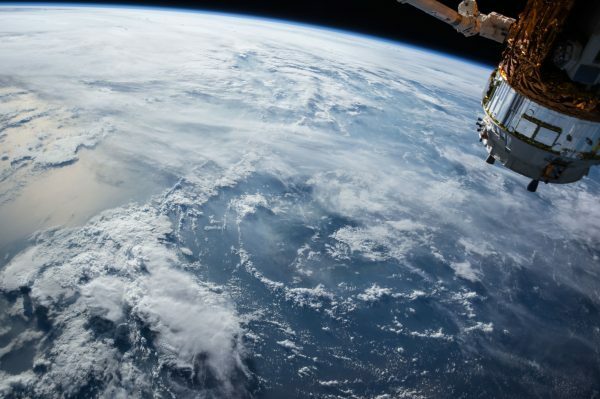 To increase stability, the two side-wheels are tilted inwards under a ten degree angle. The A360 Concept from designer Huynh Ngoc Lan looks like a crossbreed between a UFO and some stealth fighter jet. Not that the concept is bad, it is just sort of weird. The triangular body has a panoramic glass roof, then there is the camera system on the exteriors that works to provide the driver with additional feedback. 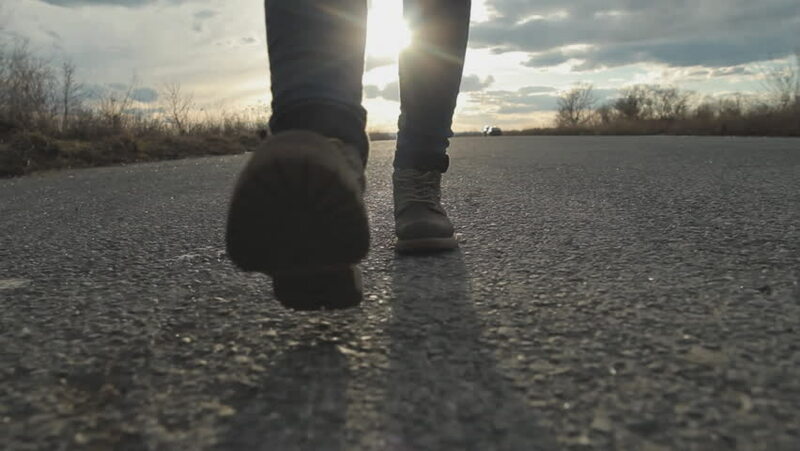 The car moves on three spheres, not wheels, which actually makes some sense considering that it is capable of moving in any direction on the ground. Since the wheels are spherical, they need not move as the car makes a radical change in angle. 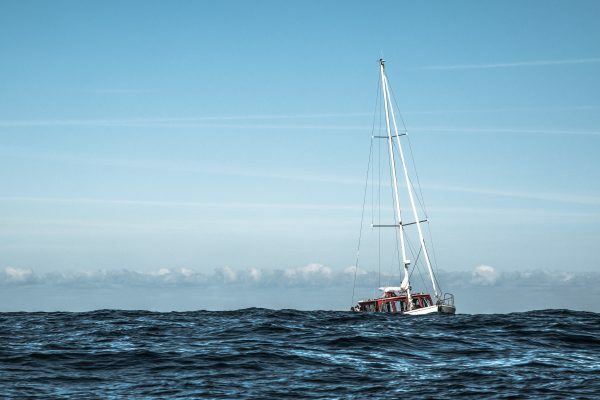 To settle well with the new direction, the cabin is capable of a full rotation. To accommodate these functions, the steering wheel has undergone a bit of a change. A control ball takes the role of a steering wheel, with integrated functions for right, left and rotation. The large glazing of the cockpit is attached to an adjustable rubber neck which can be expanded and contracted to improve aerodynamics or inside headroom, and a ‘side-car' can be attached via a lower section of the vehicle which also provides an extendable structure for storage of bags and even bikes. Dunderdale's design scored the highest for ‘unique and appealing design' within the professional designer category. Designer Anne Forschner noticed the mundanity of our mass-produced world, and created the Lovos concept to encourage viewers to “escape from the embrace of pleasant conformism.” The concept stands unique to draw attention towards its form, and is covered in particles and structures that when closed give an appearance of fish scales, and of a totally weird car when open. 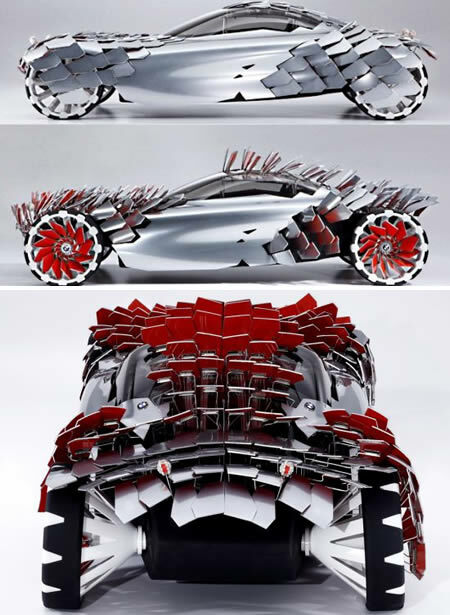 The concept has 260 identical interchangeable parts in its structure, most of these elements form the car's fish scales. 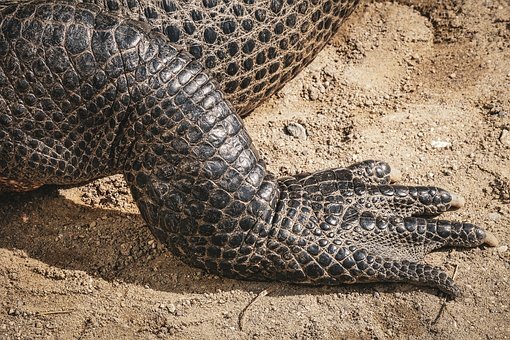 When open, these scales function as air brakes, and keep their direction towards the sun to harvest solar energy. Apart from the scales on the body, 12 scales cover each wheel of the car. As the wheels are set into motion, these scales retract to create a semblance of turbines. The Aurora Safety car was a creation of American catholic priest Alfredo Juliano. Designed with safety for passengers and pedestrians as the only concern, the Aurora's appearance was an afterthought. And the car has been hailed by many as the ugliest vehicle of all time. Safety features of this hideous creation include; saftey belts - rare in 1957, foam filled bumpers mounted on gas shocks, roll over bars built into the perspex dome roof, and a telescopic steering column. The Aurora's rounded windscreen was intended to eliminate the need for windscreen wipers. 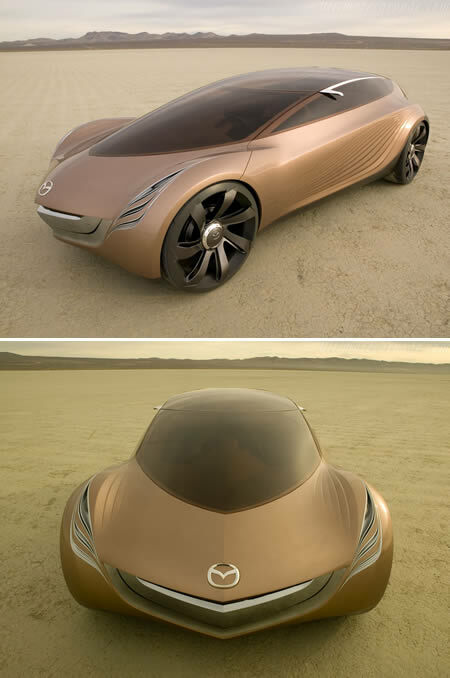 The Nagare (pronounced “na-ga-re”) is a concept car that was introduced by Mazda at the 2006 Los Angeles Auto Show. 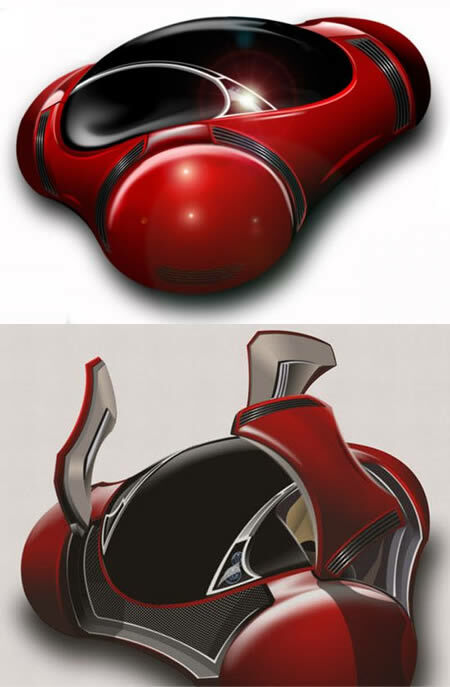 The Nagare is considered to be an exercise in natural and organic car design to explore the future of Mazda automobiles. Its name “Nagare” translates into English as “flow” and the designers specifically studied motion and the effect it has on natural surroundings when creating this vehicle. It was designed by Laurens van den Acker, Mazda's global design director, and his advanced design studio team in Irvine, California. The Mazda Nagare is a celebration of proportions and surface language according to its designers. Its bodylines flow like liquid across its smooth seamless design and there are no distinguishing marks that detract from the overall theme of the car. It has a large windshield that rakes at a very steep angle molding itself into the glass roof of the car. Its large and aggressive wheels are wrapped into the wheel wells, incorporating them as a part of the body. 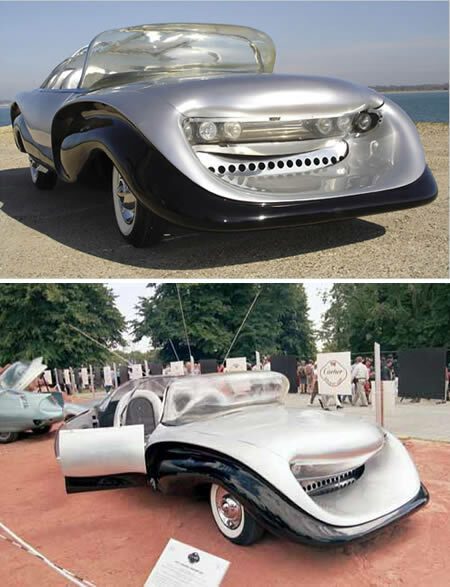 History has produced some wonderful concept cars that became significant production models. 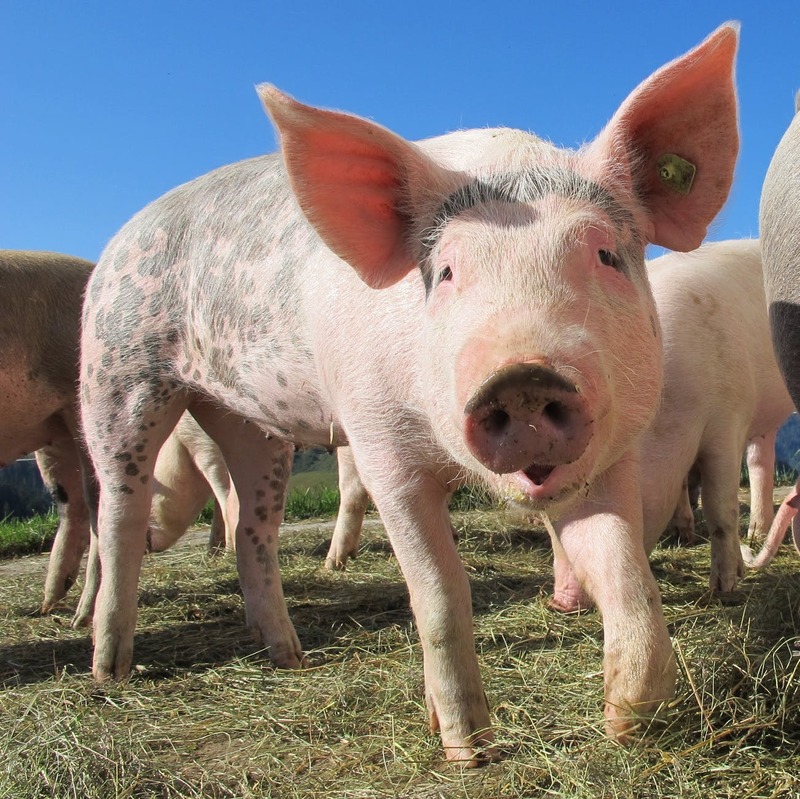 It has also produced many that were somewhat less than well received. Japan in particular, has an automotive culture which takes significant chances with its concept vehicles, and is often prepared to go well beyond the traditional to explore new niche markets. One such long shot was the Fuya Jo from Honda – the vehicle whose name means "Sleepless City," was designed specifically to transport “party animals who demand the full excitement of night life.” Shown at the 1999 Tokyo Show and seen at major auto shows as recently as 2002, Honda clearly had the ecstacy generation in mind with this vehicle designed to allow the occupants to stand and dance their way from venue to venue. The interior has a distinct dance club theme, with a dashboard designed to resemble a DJ's mixing desk (circa 1998) and the steering wheel shaped accordingly as a turntable. Not surprisingly, the sound system incorporated into the Fuya Jo was powerful and the car was designed to test the youth market's ideas on what they wanted from the automotive industry. 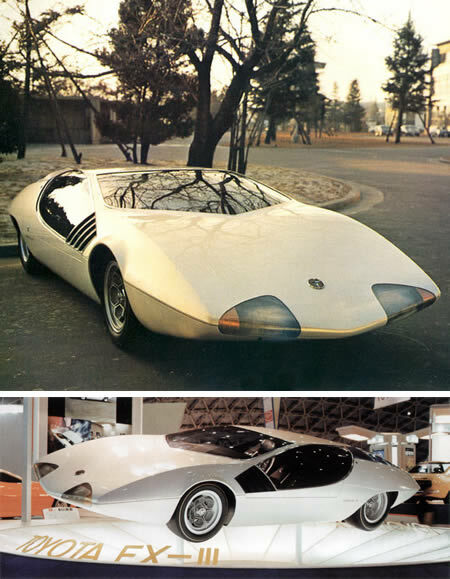 Shown at the 1969 Tokyo Motor Show, the EX-III was a big brother of a former concept model. The larger body was even more aerodynamic, being built very low with a pointed front (no bumper), a long bonnet, sharply sloped sides and a tapered rear. 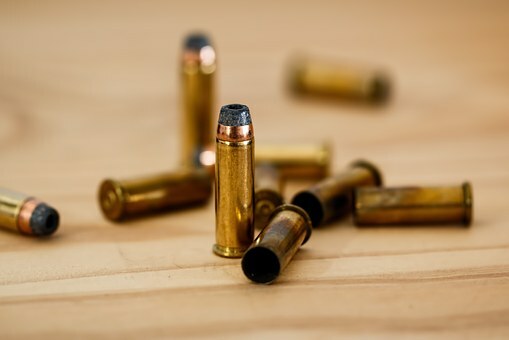 Large exhaust outlets hinted at a gas turbine engine but no details were given. The Magnet Car was designed by Mat?ö Proch•czka as a solution to the challenge of finding more fuel efficient methods of transport. This car uses magnets the same polarity as the road, which effectively 'lifts' the car off the road, making it lighter by 50%. 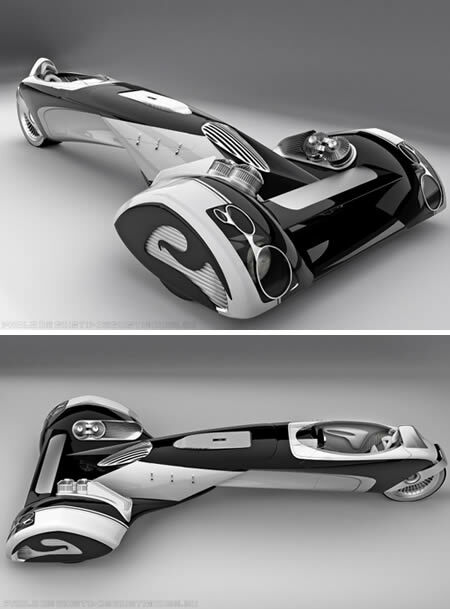 Of course, this is a true ‘concept car', as magnetized roads are a purely hypothetical idea, and yet to be realized. 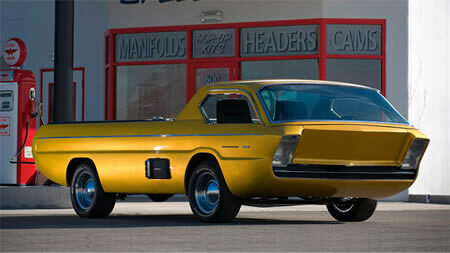 This unbelievable weird 1965 Dodge Deora concept was put for auction in 2009. Built for the Detroit Autorama back in the '60s, by some hot-roddy types called Mike and Larry Alexander, the Deora later became one of the original Hot Wheels toy cars. The more astute among you may have noticed the lack of doors. 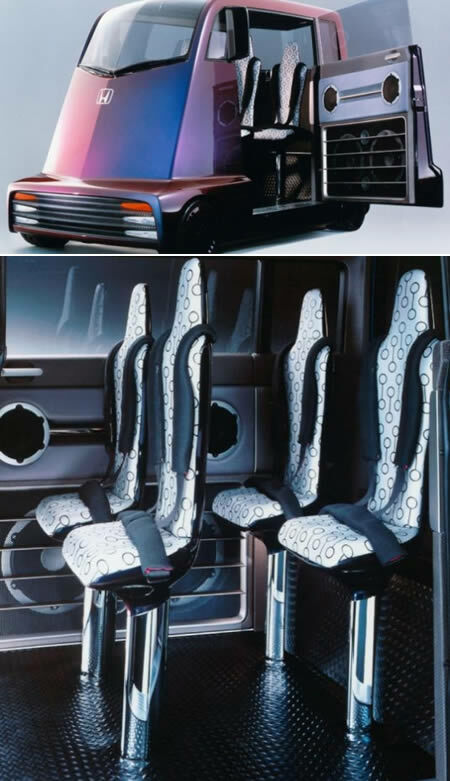 But instead of slithering in through the side windows, the front of the cab opens like a venus flytrap – allowing the driver to bundle in arse-first.